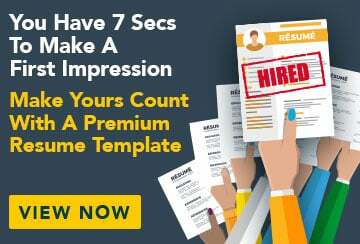 This free sample resume for a hotel manager has an accompanying sample hotel manager cover letter and sample hotel manager job advertisement to help you put together a winning job application. To find a stimulating and challenging role in clubs/hospitality where I can use my excellent interpersonal, management and leadership skills to make a positive contribution and confidently lead a team. Years of working in hospitality have given me excellent interpersonal, management and leadership skills. I have extensive experience managing staff as well as dealing with the public as a club/hotel manager. Experience with MYOB data entry, reconciliation and report production, as well as understanding of GST, profit and loss statements and balance sheets. Competent in bank reconciliations, debtor ledgers, accounts payable/receivable, balancing gaming machines, monthly reporting to boards, auditing, budget analysis, cash flow and liaising with external accountants. Ability to process payroll, superannuation and workers’ compensation, also experienced in staff recruitment and retention, training and development activities, traineeships and dealing with complaints and grievances. A hotel and bottleshop consisting of 30 motel rooms, 20 caravan park sites, 16 poker machines, TAB and Keno facilities, and 20 staff members. Manage daily operations of the complex including all administration duties for the management of finances, human resources, stock control, cash control, gaming, promotions and marketing, and the responsible service of food and alcohol. Manage stock control for the bottleshop as well as bar and cleaning supplies. Report regularly to the complex owners regarding operations and planning. Managed an overhaul of the bottleshop POS system which resulted in an increased profit margin and accurate stock counts. Consulted with builders, gaming representatives and owners to enable the successful placement of new gaming machines and development of a new outdoor smoking area. Local club with approximately 500 members, 15 poker machines, Keno facilities and 15 staff members. Managed daily operations of the club as the Responsible Licensee, including management of all administration duties for finances, human resources, stock control, cash control, gaming, promotions and marketing, corporate governance and compliance. Reported monthly to Board of Directors meetings on finances and gaming, and prepared manager’s report with recommendations for improving services and profits. Managed external tenders for building improvements to the club, including renovations and installing electronic opening doors. Organised a successful Easter Market Day resulting in ticket sales increasing by 300 per cent. Successfully completed an 18-month backlog of financial records whilst keeping up-to-date with current financial year requirements. A local club with approximately 1000 members, 35 poker machines, TAB and Keno facilities and 25 staff. Assisted in the management of administration practices, human resources, financial management and gaming. Managed stock control and attended to cash discrepancies. Organised market days and regular promotions. Relieved Secretary/Manager whilst she was on leave over the busy Christmas/New Year period.